Elastic adhensives for wood-floor and multipurpose bonding provide many advantages over rigid bonding. Elastic bonding makes it possible, in one operation, to join and seal or dampen noise. 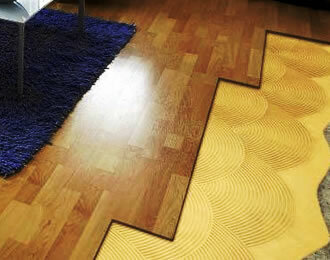 Because stresses are distributed evenly, it is possible to bond wood-floors despite their swelling and shrinkage characteristics. In contrast to mechanical fastening, elastic bonding allows durable fastening of thin materials such as sheet metals or facade claddings to achieve material savings because the elastic bonding layer permits differential thermal movements.